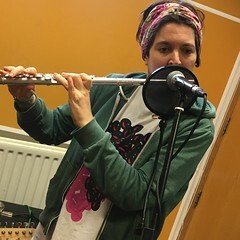 The Fleas and Madame So performed live in the Resonance FM studio on Saturday 1st April 2017. Plus, Ilia Rogatchevski interviewed Luke Turner and Sophie Coletta about COUM Transmissions. This entry was posted in dexter bentley, hello goodbye show, Hello GoodBye: Playlists, resonance fm and tagged COUM Transmissions, dexter bentley, hello goodbye, ilia rogatchevski, luke turner, madame so, resonance fm, sophie coletta, the fleas. Bookmark the permalink.